DuckDuckGo is by no means the world’s most popular web search engine, running around 33 million daily direct queries on average nowadays, which may sound impressive... until you realize Google processes more than 5 billion searches every day, according to the latest estimations. But DuckDuckGo has been growing at a steady pace since its introduction around a decade ago while making a solemn pledge to always respect the privacy of its users. Seeing as how Apple has a similar objective, repeatedly highlighting the need for strong laws protecting companies that put privacy and security over profits, a partnership between the two seems like a natural fit. Enter native Apple Maps integration with DuckDuckGo mobile and desktop services, available now for “improved address searches” and “enhanced satellite imagery.” The alliance is obviously a major marketing coup for the privacy-focused search engine, although Apple can also use all the additional exposure it can get in its efforts to close the feature and especially coverage gap to Google Maps. Over the past few months, we’ve seen the “rebuilt” default iOS map system picking up a number of small but meaningful updates in key markets like the US and India. On DuckDuckGo, Apple Maps will handle specific address searches, as well as queries for geographical locations, local businesses, types of businesses, and “places nearby.” All without the search engine collecting or sharing your personal information. No IP addresses will be harvested by Apple or other third parties, while approximate location info needed to process local searches will be discarded immediately after use. 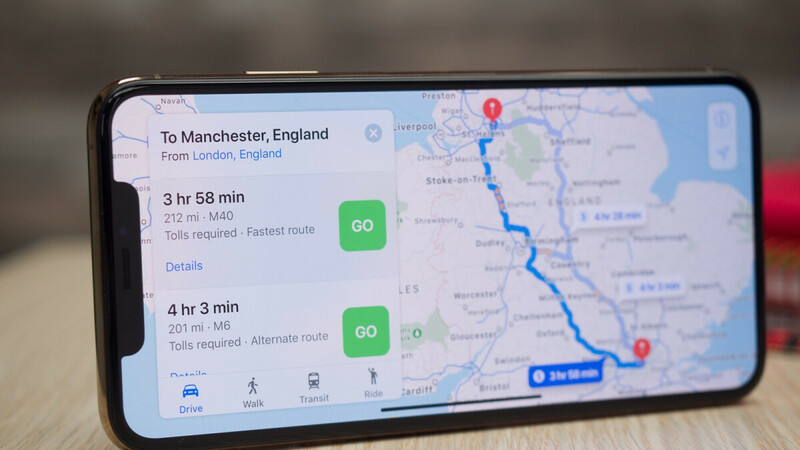 DuckDuckGo is naturally “excited to work closely with Apple to set a new standard of trust online”, taking advantage of the MapKit JS toolset released just last year to entice third-party developers to help the spread of Apple Maps. Google probably has nothing to worry about for the time being, but the web mapping wars are clearly far from over. Do two half-baked services equal one full service? I think the in to long run Apple will ditch DuckDuckgo too and soon enough she will favor own service once it good enough. Be lean and cut cost is all business doing. So not surprise once day Apple turn her back on DuckDuckgo too or she could end up acquitted it if good bang for the buck. Now you got to Google it. See I’m doing, good question. Apple don’t make money with ad bc she has hardware and all businesses need income to operate so not quite sure. Like Reddit and Craiglist they still boyce down to ad to make money so i guess in someway DuckDuckgo will do the same way once they have enough user base. Apple will be making money through ads eventually... PA reported on that a couple years ago. They sell advertising using data based on the search box entries. They made about $8M last year. This is great, but Google Maps seems to be better when it comes to traffic updates. It's been at least a year since I used Apple Maps though, so maybe things have changed. Exactly! It looks so STUPID! Apple didn't join forces with DuckDuckGo, DuckDuckGo just used Apple's MapKit JS. Which allows for Apple Maps integration with any website you want too. Nothing to do with Apple actually teaming up here. Why let facts get in the way of Apple bashing? Get with the program RebelwithoutaClue.